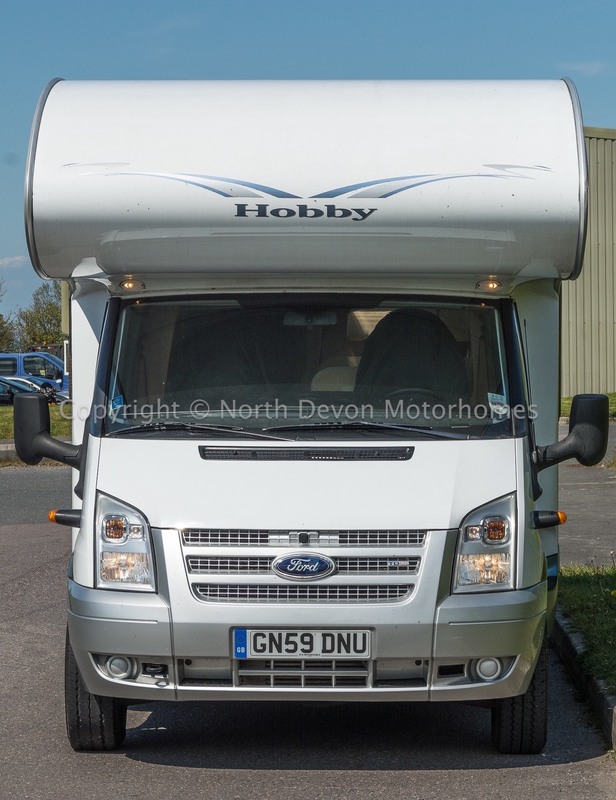 A stunning LHD coach-built by Hobby. 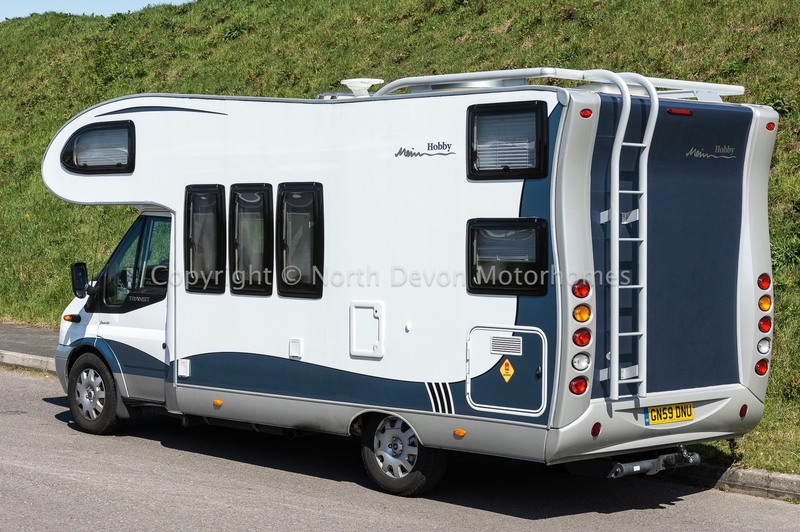 A much favoured family 6 berth layout with rear bunk beds and a garage, six belted travelling seats and all in superb condition throughout. 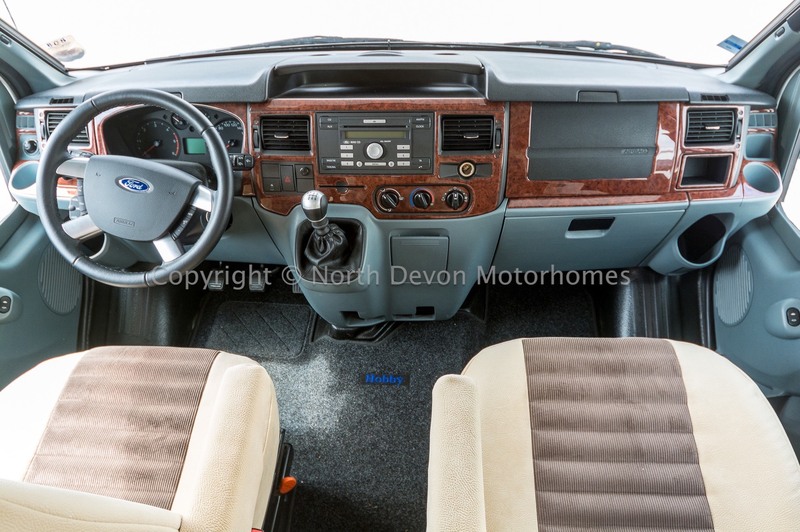 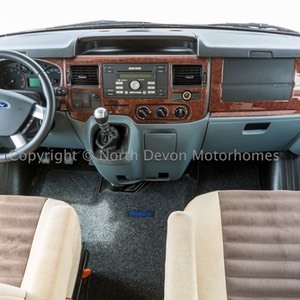 Left Hand Drive, Electric Windows and Mirrors, PAS, Drivers and Passengers Airbag, CD Radio, Fitted Cab Blinds, Swivel Captains Seats, Aircon, Cruise control. 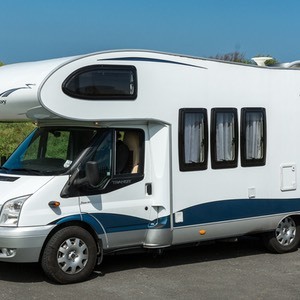 6, Drivers and Passengers and 4 travelling. 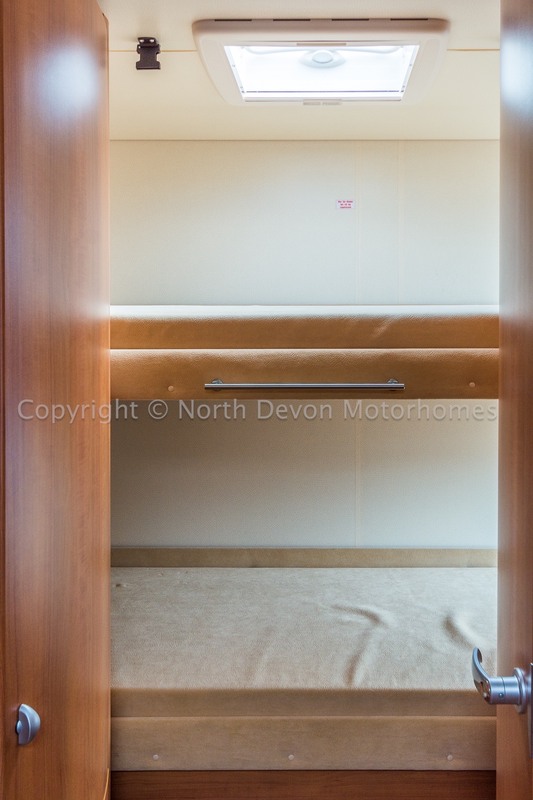 Rear garage. 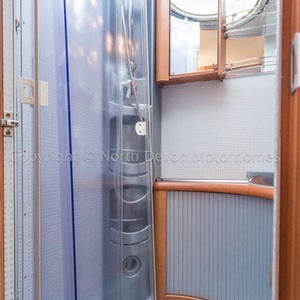 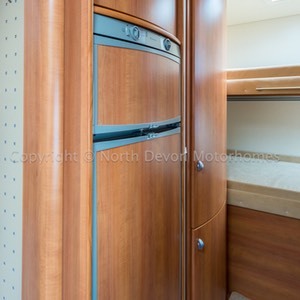 Rear fixed bunk beds, Washroom opposing large wardrobe, Forward lounge diner with opposing kitchen. 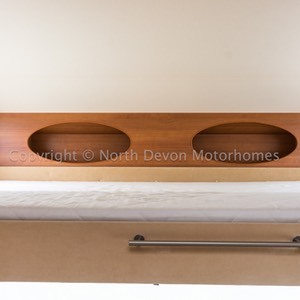 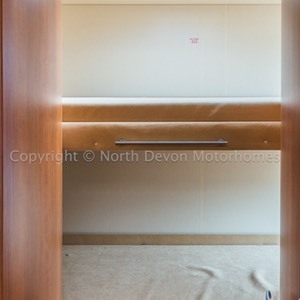 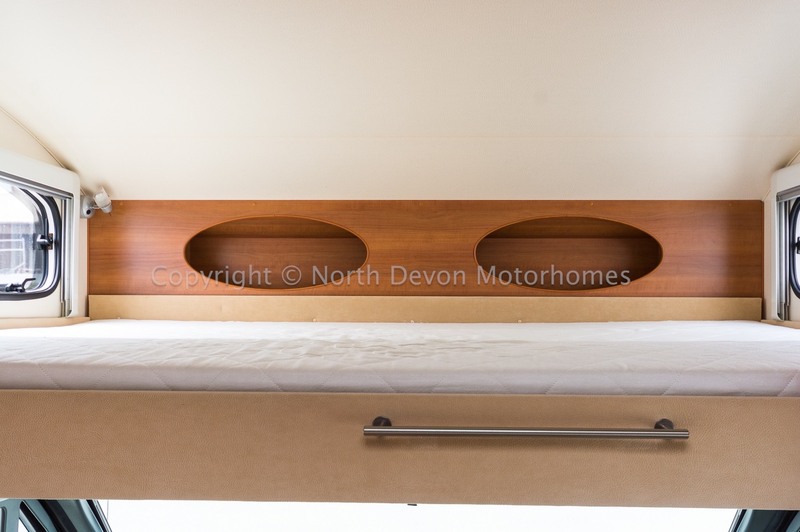 6, Two single bunk beds, lounge converting to a double and further double over cab. 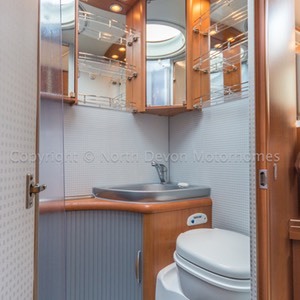 Swivel cassette toilet, Shower, Fixed moulded sink with mirrored vanity cabinets over and storage under, 12V lighting, Large circular Skylight. 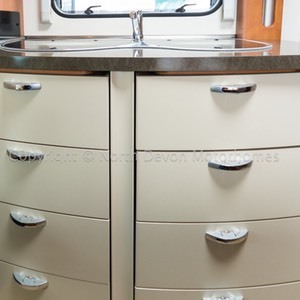 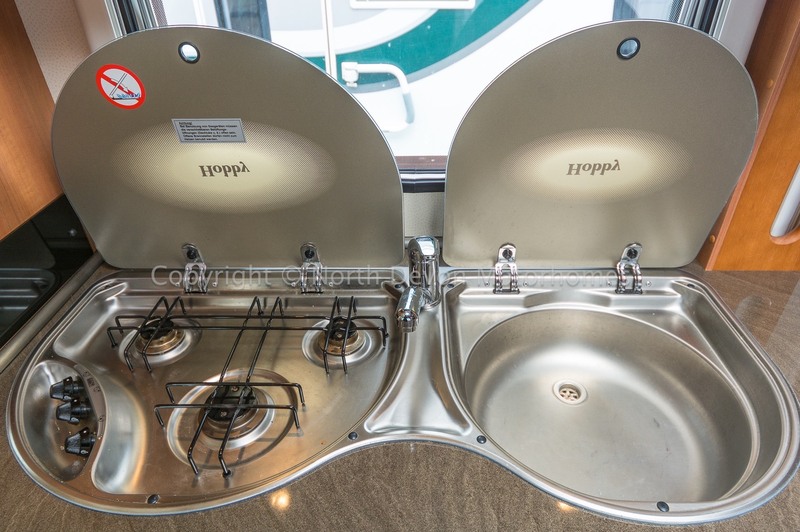 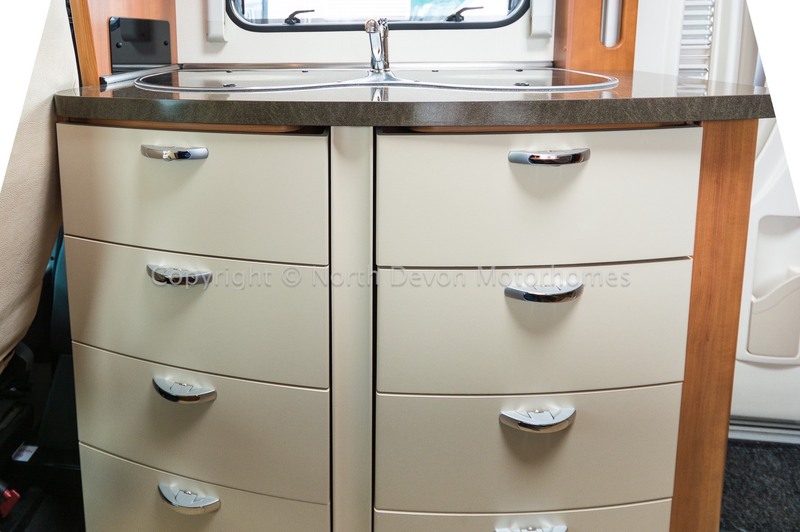 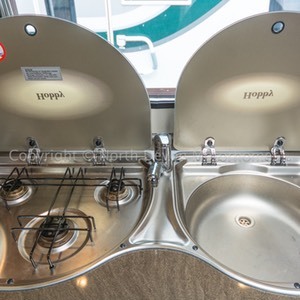 Three burner gas hob, Sink, Tower 3 way fridge/freezer, Low and high level storage, Roof vent. 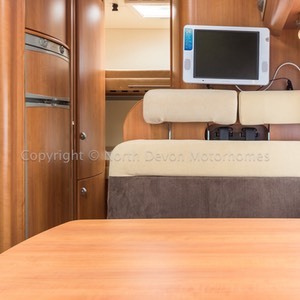 Double dinette with extending table, TV, Heki Rooflight..
Truma Combi hot water and blown air central heating system running on gas, Double glazed windows with Nets and blinds throughout. 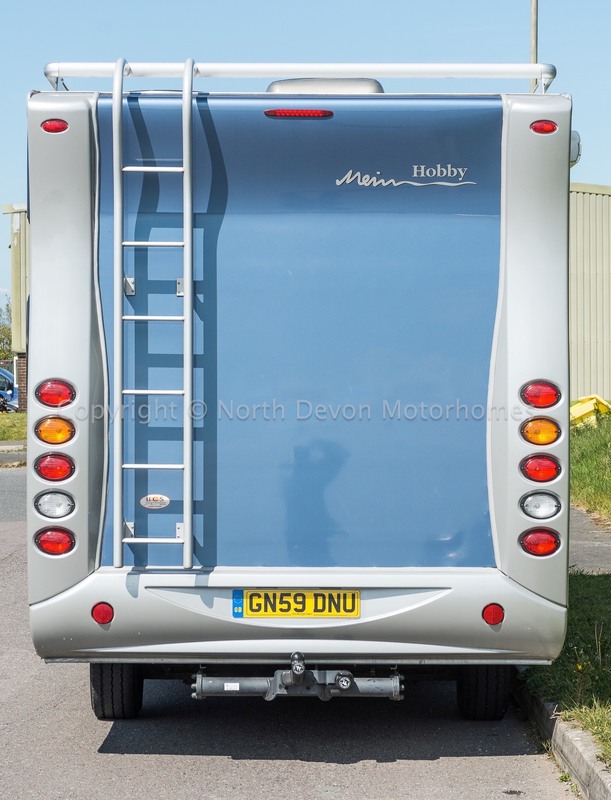 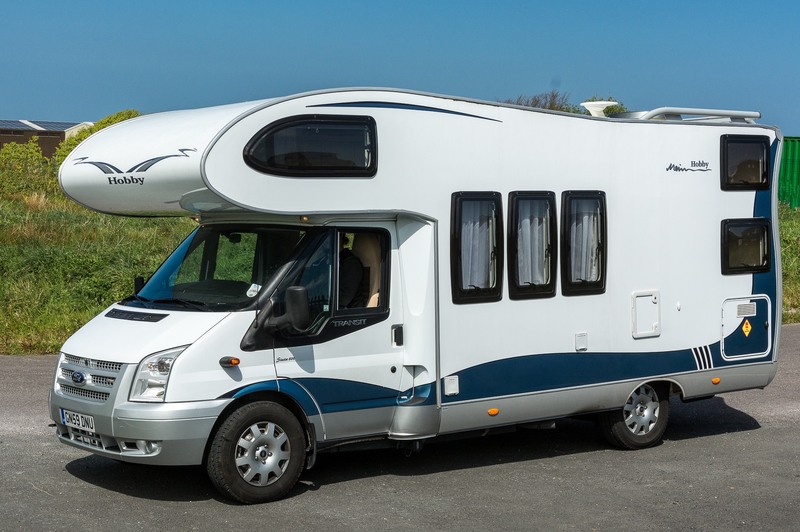 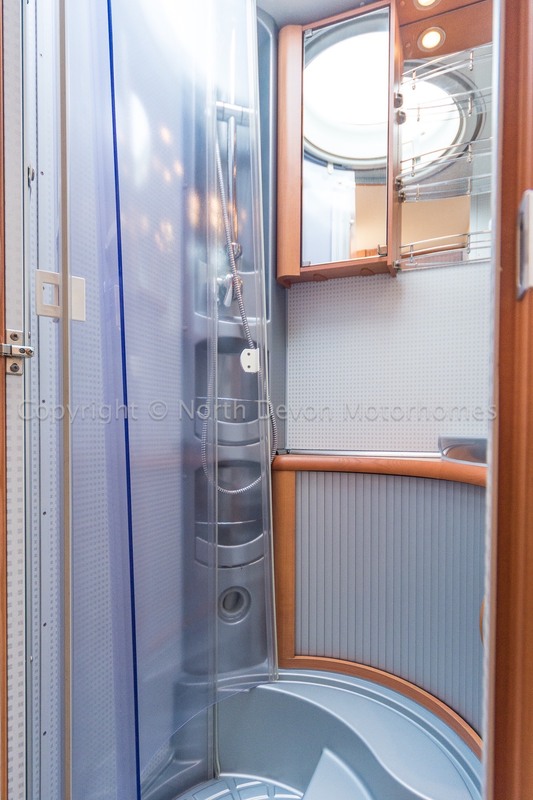 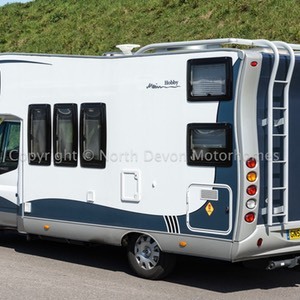 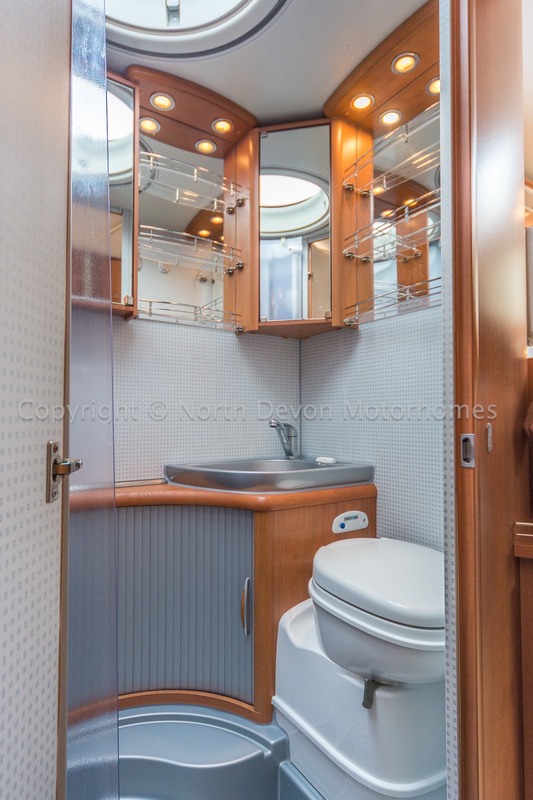 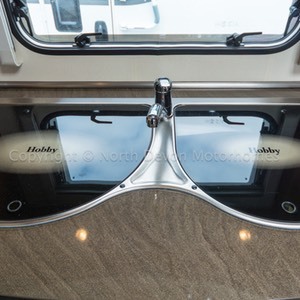 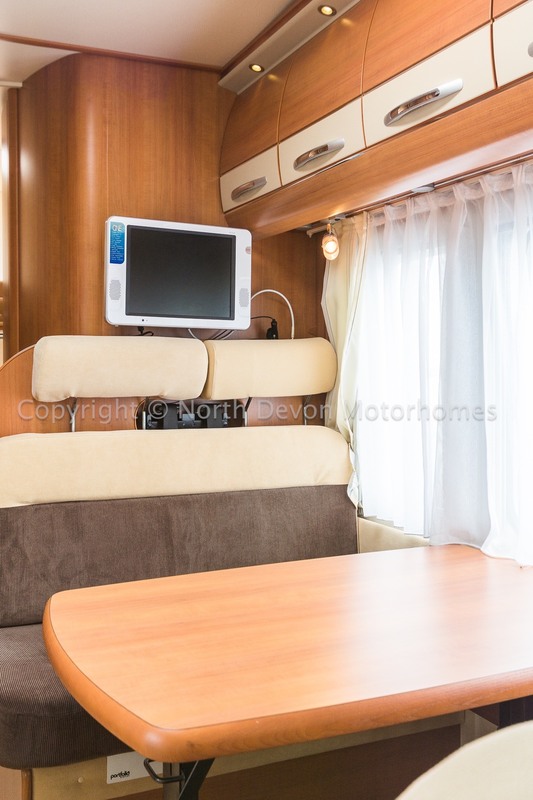 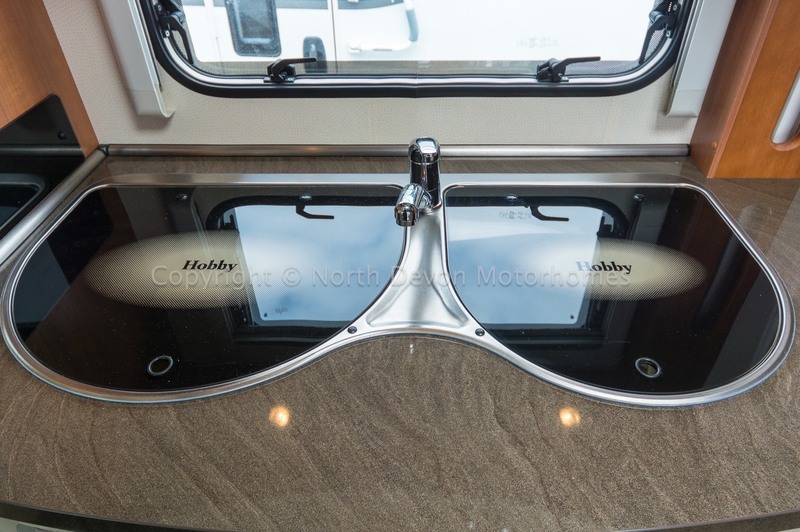 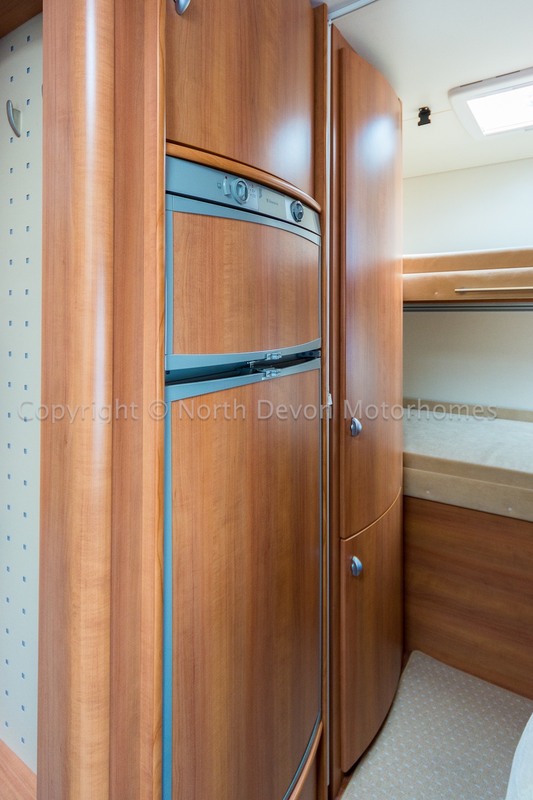 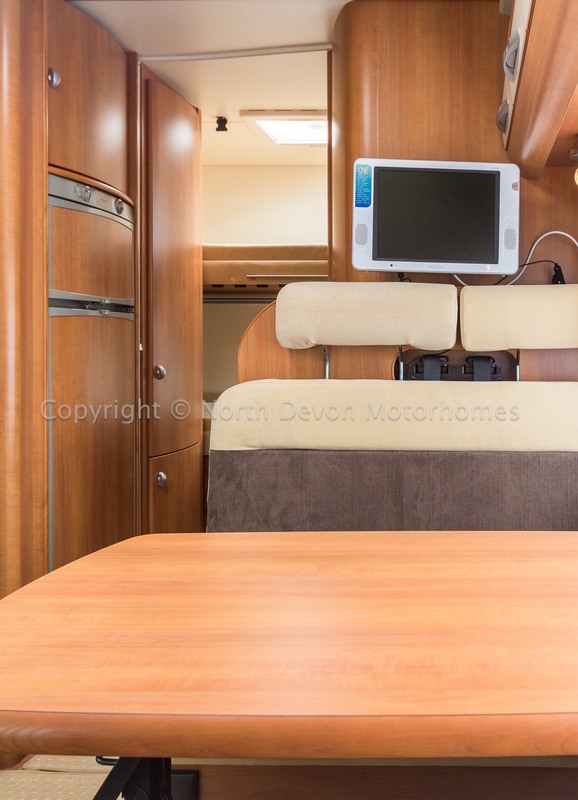 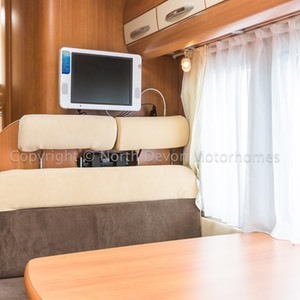 Simply a stunning 6 berth coachbuit all put together by reputable German coach builders Hobby. 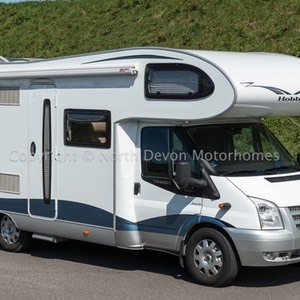 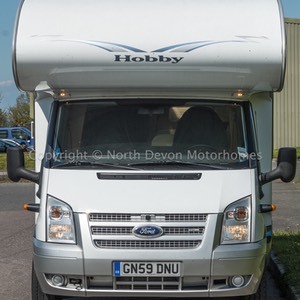 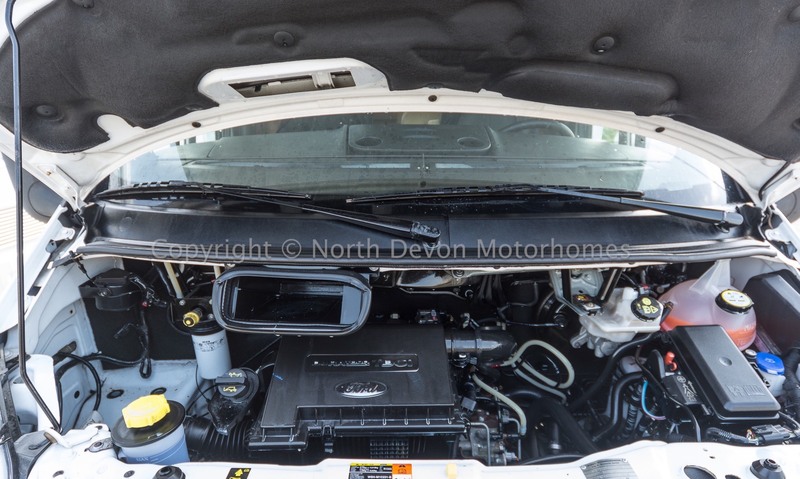 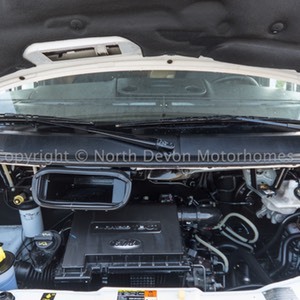 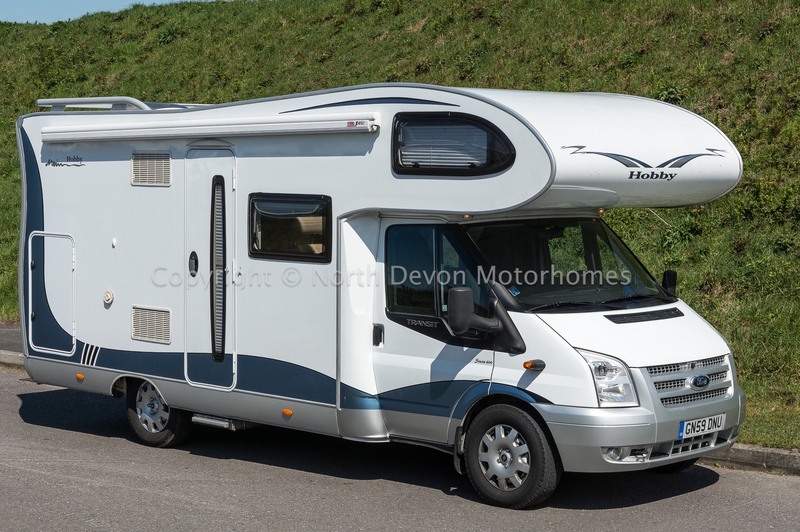 Built on a ever reliable and trusted LHD Ford Transit cab and chassis fitted with a powerful engine coupled to a six speed gearbox, giving this vehicle plenty of get up and go making it an ideal van for European touring and holidays. 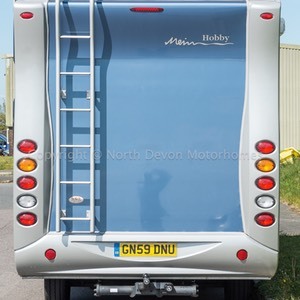 Inspection and viewing highly recommended.